With the 2018/2019 Brut Australian Baseball League season done and dusted, now it's time to look back at how each team fared in reverse finishing order. Today we look at the Melbourne Aces. 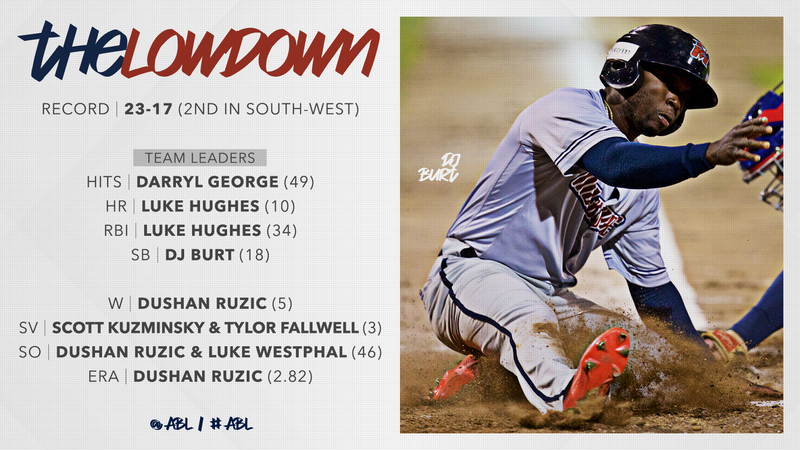 Melbourne bounced out of the blocks and had one hand on the South-West Division crown all season, but their campaign ultimately ended at the hands of Canberra in the inaugural ABL Wildcard Game. The Aces took all four games against the Cavalry in Round 1 behind stellar pitching, and made the league sit up and take notice. From there, they duked it out with Perth for South-West supremacy, but fell short after a disappointing round 10 loss to Auckland. Dushan Ruzic put together his best year in the ABL to-date, as the 37-year-old lead the Aces rotation with five wins and a 2.82ERA. Royals farmhand DJ Burt put together an exceptional campaign, finishing with a .338 average, a team-high two triples and league-leading 18 stolen bases. The Aces compiled a 16-8 record against their South-West Division rivals, but struggled against inter-divisional rivals, finishing 7-9 against North-East Division teams. Melbourne owned the second lowest team ERA (3.55), but struggled offensively, hitting .239 as a team (down from .268 in 2017/18). Their bullpen was lights out. Jon Deeble had a number of high-quality options at his disposal, most notably Tyler Fallwell and Hiromasa Saito. Despite struggling in 16 games for the Seibu Lions (1-3, 7.02ERA) in 2018, Saito was untouchable in Melbourne, striking out 21 in 16 1/3 scoreless innings of relief. Tyler Fallwell was equally as impressive, allowing no earned runs in his 14 innings, striking out 17 and surrendering one walk. Melbourne coupled those two mainstays with the likes of Byung-Hyun Kim, Josh Tols and Dan McGrath, and put together a high-quality arsenal of relief pitchers. DJ Burt (.338/.437/.466), Darryl George (.329/.374/.530) and Luke Hughes (.309/.407/.602) were outstanding, but the remainder of their lineup struggled. Jake Romanski tallied 39 hits, but Melbourne's next best was Garrison Schwartz with 26. Schwartz and Jarryd Dale each hit under .200, and despite record 15 stolen bases, Rudy Martin finished with a .119 batting average in 39 games. Defeated Adelaide 2-0 at West Beach on November 22. Melbourne capped off their best start to an ABL season with a shutout victory against arch-rivals Adelaide away from home. The Aces survived 5 2/3 innings of Markus Solbach, as Luke Westphal anchored the narrow win. Westphal scattered four hits in 6 1/3 innings, while DJ Burt and Luke Hughes claimed the only RBIs on the day. 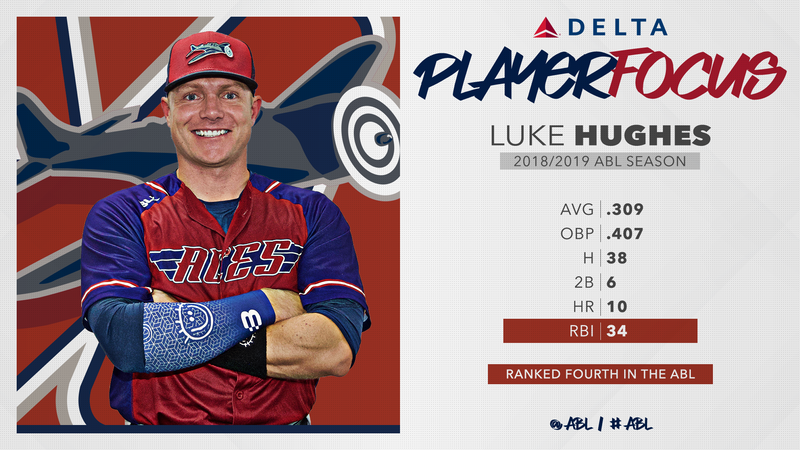 In his first year on the east coast, Hughes thrived and was one of Jon Deeble's key offensive weapons. Hughes recorded double digit home runs for the second consecutive year, with seven of his ten coming at the pitchers friendly Melbourne Ballpark. The former MLBer put Geelong-Korea to the sword on 28 December, becoming the first player in the modern ABL to record two grand slams in the same game. Hughes also became the first player to record 50 homers in the current ABL, after a solo home run in Melbourne's 11-1 victory over Geelong-Korea on 2 December. You can't go past two grand slams in a game, can you? Their best was championship calibre, but the Aces struggled to string together consistent wins. Melbourne recorded six more wins than last season, and were only a game-back of South-West Division winners Perth. Dropping three of their last four regular season games to Auckland put them behind the eight-ball, and they ran into a red-hot Frank Gailey in the Wildcard Game. They have the local core to be successful in season 2019/20, with more regular innings from young guns Dan McGrath, Jon Kennedy and Josh Tols pending their availability.